. يقدم Elkira Motel خدمات لا غبار عليها وكل أشكال اللياقة وحسن الضيافة اللازمة لإسعاد ضيوفه. لضمان راحة ضيوفه، يقدم الفندق الخدمات التالية: واي فاي مجاني في جميع الغرف, خدمة التنظيف يوميًا, خدمة غسيل ذاتية, مرافق مخصصة لذوي الاحتياجات الخاصة, تخزين الأمتعة . تنعكس أجواء Elkira Motel في غرف الضيوف.تلفزيون بشاشة مسطحة, اتصال لاسلكي بشبكة الإنترنت (مجاني), حوض الاسترخاء, غرف لغير المدخنين, مكيف هواء هي بعض الميزات الموجود في العديد من الغرف. يقدم الفندق مجموعة رائعة من الخدمات كمثل مسار جولف - ضمن 3 كم, حمام سباحة خارجي, حديقة، لجعل إقامتك تجربة لا تنسى. إن كنت تتطلع إلى إقامة مريحة وهادئة في أليس سبرينجس، فستجد في Elkira Motel بيتك الثاني. 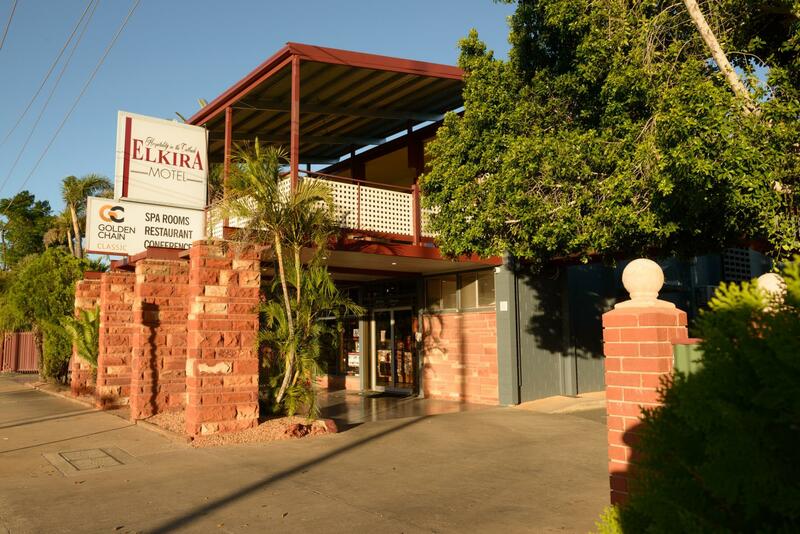 The spunkiest receptionist in Alice Springs, good location, excellent rooms. The bathroom is very classy. Love the spaciousness of the room. The location is opposite the train station convenient for people not driving. Little facilities available and the reception opens after seven in the morning. Great location, and friendly staff. Friendly staff, and great location. 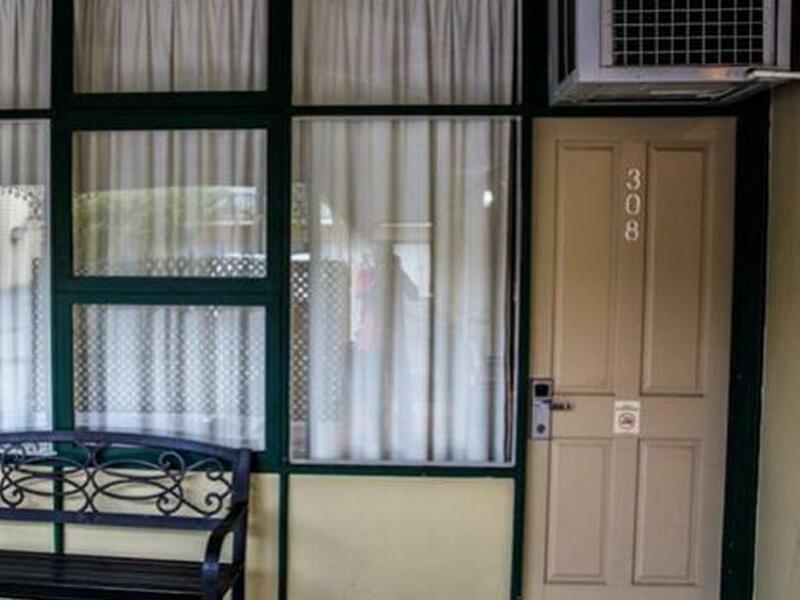 Good clean comfortable motel, only minutes walk from the centre of Alice. In the centre of the major shops. Restaurant was well priced and food was also good. Ideal for those who want's to stay closer to all malls, bars and restaurants. Though parking inside the premises was bit difficult. But we had a great time though and enjoyed our full stay. well its not a bad hotel, i have stayed in much worse for the price, the room was large and the bed ok. but this place is dated and looking like it could do with a renovation job. one thing that made me look twice was when i pulled the sheet back to get in, the bottom sheet looked like it hadnt been changed as it had that slept in look ( i am sure it had been changed ), it took me a few looks to work out why the shower didnt work, there is a little black knob at the back of the shower head that had to be turned on, thought this was strange but soon discovered why once i finished the shower,, it leaks like crazy.. now the aircon... wow works so good, it was a cool night so i put the heater on and it didnt take long to be very hot, BUT, the noise from it was like a jet engine, SO SO loud, even on the lowest setting it was roaring.. thank god i had my noise cancelling headphones to block the noise otherwise sleep would be impossible, i still turned it off .. 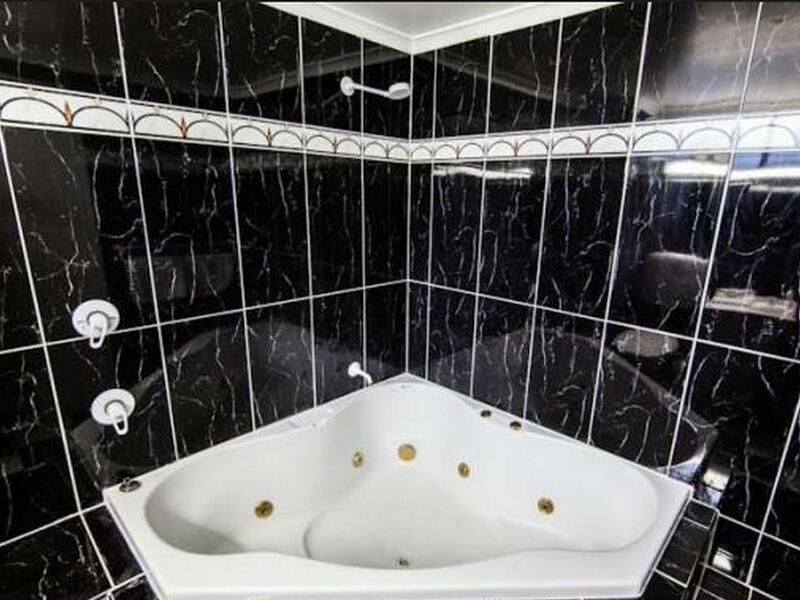 The price was right, the room had everything you need, the bathroom had a huge corner jet tub with some pretty amazing tile work that will take you right back to the 80s. Some of the rooms could be a little noisy if they are close to the road, I didn't feel I had a lot of privacy with a main walk way right outside my room, but if the location is right in town so there is no need to take a taxi anywhere. The restaurant had signs for breakfast at a reasonable rate, it is right across the street from K-mart. All in all great hotel. 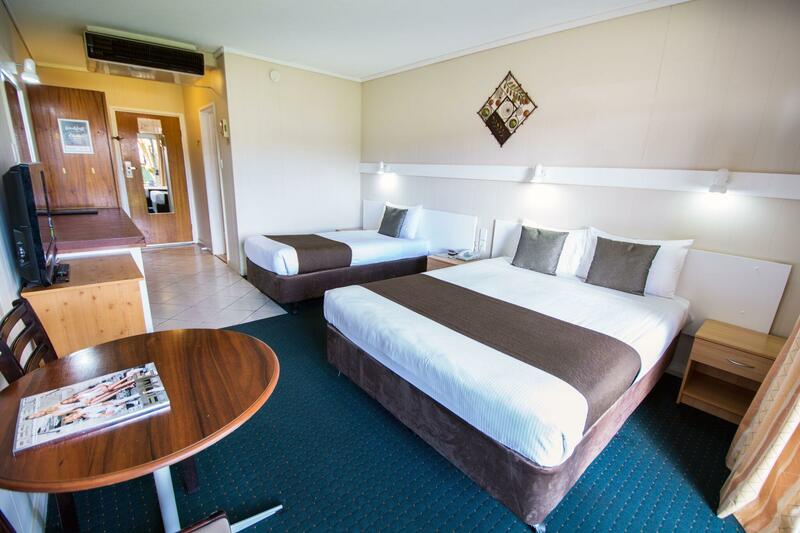 Not the ultimate in luxury, but it gives you everything you need for a quick stay in Alice Springs. It was nice to check in with a smile and friendly service. A bed for the night, and a hot shower. Needed a place to stay in between a campingtrip. They will store your luggage while on a trip, no extra costs. Close to down town, easy to find a place to eat. Just the basics, nothing special. Staff was helpful an efficient. Elkira had a free luggage storage system and allowed us to park our rental in the lot while we were away on a three day trip to Uluru during a break in our stay with them. The Elkira is central, close to good restaurants, bars and shopping. There is a pay laundry room right at the motel which we used as well. We will stay here again. Helpful staff. Stored luggage whilst on overnight trip . No evening meal. I found the staff were very off hand - when I asked one of them to book a camel ride she told me to go into the town and do it at the information shop. Also no microwave The unit was up stairs and their was no lift and no help in carrying bagge up stairs. I saw people turning up for breakfast before 9 and being turned away as they were starting to close up. If they don't like tourists why are they in those jobs? 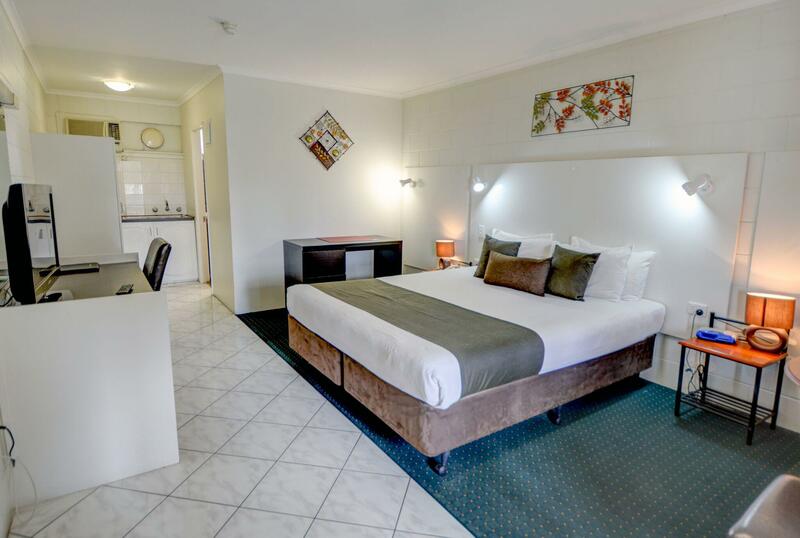 Stayed here for 2 nights one before our Uluru trip and once after, 1st night was a better room, 2nd night was a bit dated so I guess it's a bit hit and miss. Good nights sleep though- does the job. Great location. Comfortable. Air con needs uograding to split system in future...bit loud. Spa bath lovely.